The PR25G has adjustable hinged feet to conform to nearly any roof pitch and bolts to roof surface. 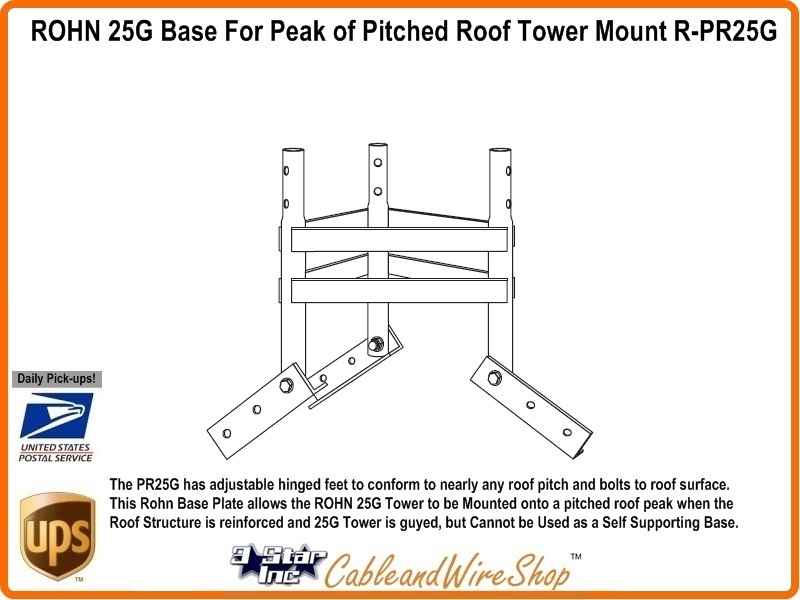 This Rohn Base Plate allows the ROHN 25G Tower to be Mounted onto a pitched roof peak when the Roof Structure is reinforced and 25G Tower is guyed, but Cannot be Used as a Self Supporting Base Plate (see R-25GSSB). This Tower Base uses double bolted joints which are proven to be the best method of joining tower sections for sturdiness and dependability. The 25G tower can be used in guyed, self-supporting or bracketed configurations according to specifications in the ROHN catalog. Roof Mounted Tower Options may limit Potential Height considerably. Consult ROHN Catalog Links at Footer Section below for ROHN 25G Tower Details. There is no Wind Load vs. Height Guidance to be found this type of Mounting in any of the Specification Literature for good reason... You need to Consult an Engineer to determine the Load Bearing Capability and Wind Speed Survivability of such an Installation. Guying is an absolute must, but remember that guying will simply increase the down pressure onto the Base support, which in this case, is your Roof! I would imagine that any Roof mounted structure is going to attract the attention of Neighbors, Code enforcement and the Insurance adjuster. 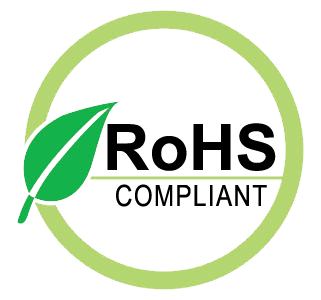 If you cannot find someone local to evaluate the registered plans for your Peaked, Pitch Roof Structure, ROHN may be able to put you in contact with someone who can.